The Words and Music of Paul McCartney: The Solo Years examines the large and varied oeuvre of this deeply personal artist, showing how McCartney's stint as a Beatle continues to inform his solo music, as well as how he has transcended his days as a member of the Fab Four. 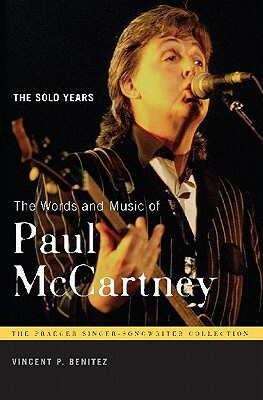 After a biographical introduction, chronologically arranged chapters explore McCartney's music in the immediate aftermath of the breakup of the Beatles, his work with Wings during the 1970s, his collaborations with other artists during the 1980s, and his compositions of the 1990s, including his first forays into classical music. The examination also covers McCartney's critically acclaimed work in the first decade of the 21st century, including Memory Almost Full and Ecce Cor Meum, a composition written in the style of sacred English choral music. Throughout, the book supplies analytical insights and historical background to a repertoire that, surprisingly, has not previously been covered in detail. Vincent P. Benitez, PhD, is assistant professor of music at The Pennsylvania State University.